In addition to the steps we’ve taken, we strongly recommend that customers update their origin web servers to mitigate vulnerabilities. Some popular vendors have applied patches that can be installed right away, including Drupal, Symfony, and Zend. Say a user requests a cacheable file, index.html. We first check if it’s in cache, and if it’s not not, we fetch it from the origin and store it. Subsequent users can request that file from our cache until it expires or gets evicted. In general, if the URL matches, and our customer has told us that a file is cacheable, we will serve the cached file to subsequent users. We take this vulnerability very seriously, because an attacker with no privileges may be able to inject arbitrary data or resources into customer websites. So how do you trick an origin into producing unexpected output? It turns out that some origins send back data back from HTTP headers that are not part of the cache key. As soon as we learned about this new vulnerability, we wanted to see if any of our customers were vulnerable. We scanned all of our enterprise customer websites and checked if they echoed risky data. We immediately notified these customers about the vulnerability and advised them to update their origin. We were able to deploy these changes immediately for all customers who use our WAF. But we weren’t done yet. There are other versions of the attack that could trick a client into downloading an unwanted but innocuous-looking resource, with harmful consequences. In this case, there’s no way to just block requests with this X-Forwarded-Host header, because it may have a valid purpose. However, we need to ensure that we don’t return this content to any users who didn’t request it! There are a few ways we could defend against this type of attack. An obvious first answer is to just disable cache. This isn’t a great solution, though, as disabling cache would result in a tremendous amount of traffic on customer origin servers, which defeats the purpose of using Cloudflare. 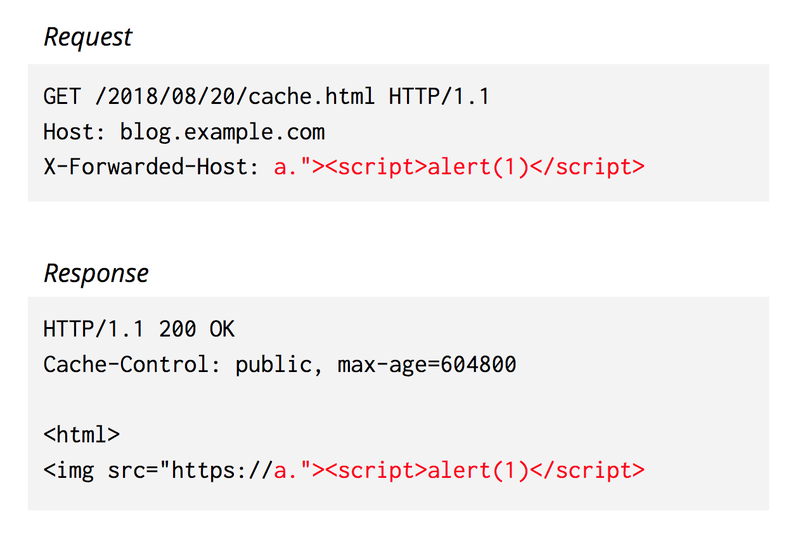 Another option is to always include every HTTP header and its value in the cache key. However, there are many headers, and many different innocuous values (e.g. User-Agent). If we always included them in our default cache key, performance would degrade, because different users asking for the same content would get different copies, when they could all be effectively served with one. 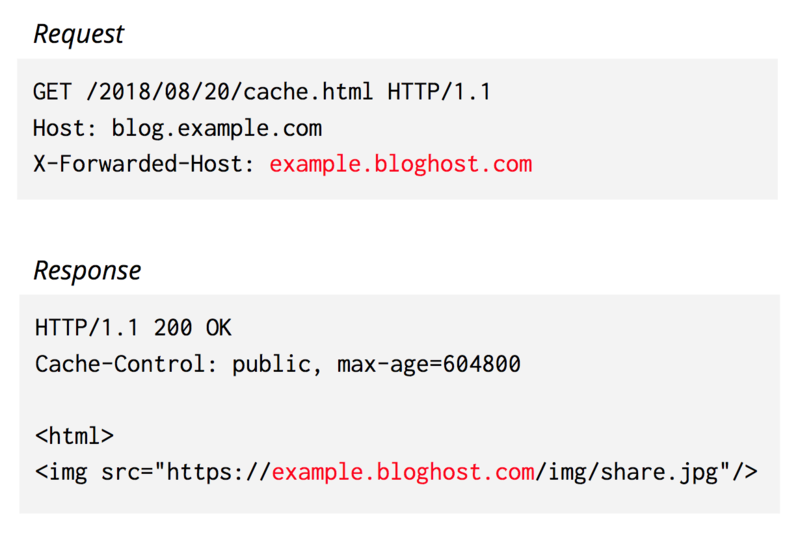 In order to prevent unnecessary cache sharding, we only include these header values when they differ from what’s in the URL or Host header. For example, if the HTTP Host is http://www.example.com, and X-Forwarded-Host is also http://www.example.com, we will not add the X-Forwarded-Host header to the cache key. Of course, it’s still crucial that applications do not send back data from any other headers! 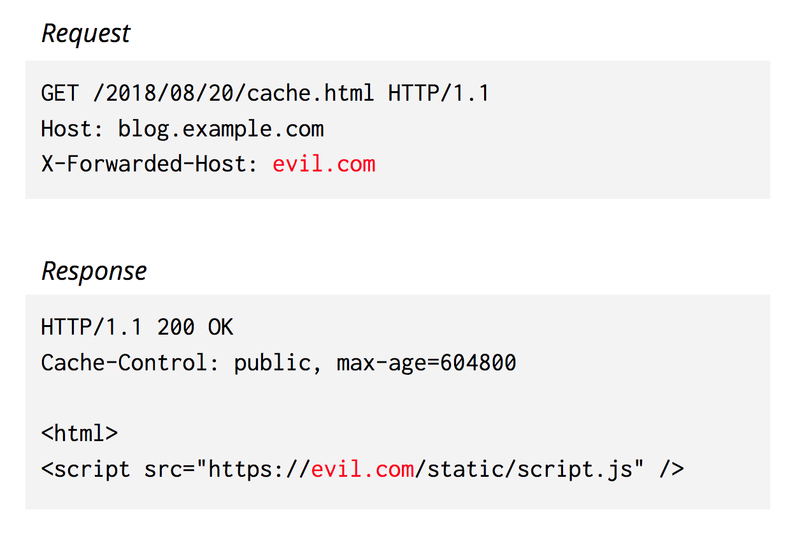 One side effect of this change is that customers who use these headers, and also rely on Purge by URL, may need to specify more headers in their Purge API calls. You can read more detail in this support page. Cloudflare is committed to protecting our customers. If you notice anything unusual with your account, or have more questions, please contact Cloudflare Support.